In domestic route developments, Delta and JetBlue both announce more service out of Boston; United expands Basic Economy to more routes; Virgin America starts flying new A321neos; Alaska adds a pair of Seattle markets; Southwest adds service at Sacramento; and American grows at Santa Rosa and Charlotte. Boston travelers are the beneficiaries of an ongoing battle for market share between Delta and JetBlue. 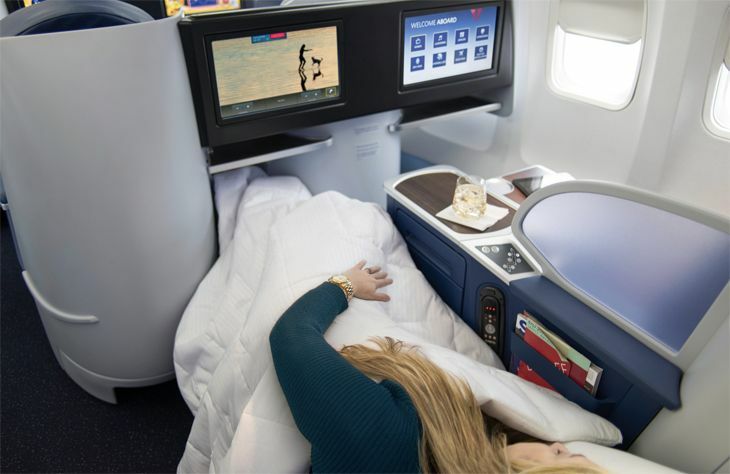 In the latest round, Delta unveiled new or expanded service on several BOS routes, in addition to its previously announced plans to start Boston-San Francisco flights on June 8. 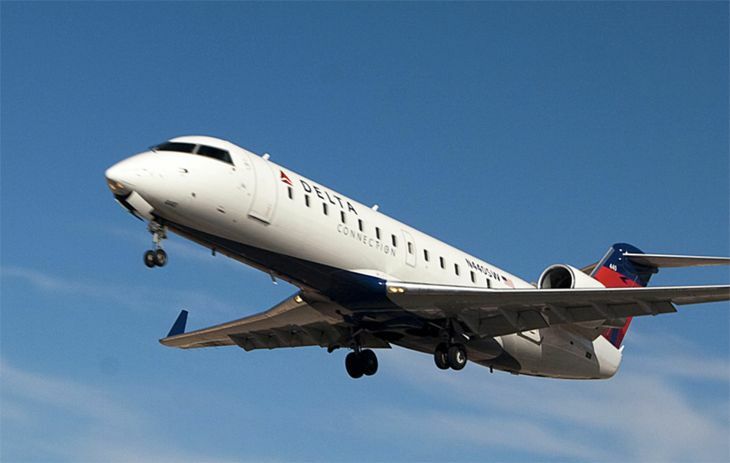 The carrier said its summer schedule this year will include new mainline service from Boston to Austin, along with new Delta Connection flights to Kansas City, Jacksonville, Buffalo and Norfolk. And on September 10, Delta will add a second daily roundtrip between Boston and Nashville. And there’s more to come next winter: Delta said effective December 21, its Boston-West Palm Beach and BOS-Ft. Myers service will increase from weekend-only to daily, and Boston-Ft. Lauderdale will increase from weekends-only to twice-daily. The expanded schedule will give Delta 12 new destinations out of Boston since November of last year. A few days later, JetBlue announced its own expansion plans for Boston-Florida routes, including the addition of one more seasonal daily roundtrip from Boston to Jacksonville, to Palm Beach and to Ft. Myers. JetBlue had already announced that it will lay on a fourth daily Boston-Los Angeles Mint roundtrip in October, and will start Boston-San Diego Mint service in December. At Ft. Lauderdale, meanwhile, JetBlue said it will begin a daily roundtrip to Salt Lake City beginning November 16. Speaking of Delta, we noticed a couple of unusual entries on Routesonline.com, which tracks all airlines’ filings of new routes and service changes. Routesonline said Delta plans to put a 757-200 with flat-bed Delta One seats into service on one of its daily Boston-Minneapolis flights starting January 3 of next year. And from this month through October, Delta will use the same aircraft on one of its three daily New York JFK-Philadelphia flights; the other two still use Endeavor Air regional jets. Are these domestic legs of international flights? Any ideas, readers? When United started offering bare-bones Basic Economy fares earlier this year, it did so mainly on routes between Minneapolis-St. Paul and its major hubs. But now United has started selling the ultra-low, no-frills fares in more than 100 domestic markets, mainly from its hubs to leisure destinations and to other hubs, for travel beginning May 9. That includes routes like Newark-Orlando, Chicago-Denver, Washington Dulles-Orlando, Denver-Houston, San Francisco-Orlando and Chicago-Ft. Lauderdale. We’ve even heard they are in markets without ultra-low-cost-carriers such as LAX-SFO. 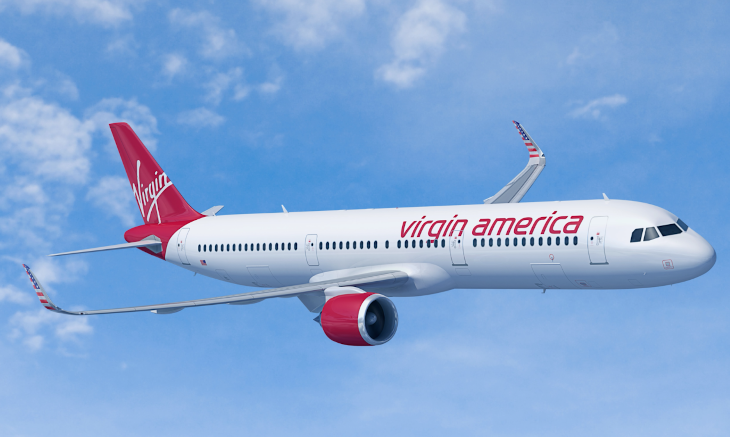 Although it’s now technically part of Alaska Airlines Group, Virgin America remains a separate brand and operating unit with its own new aircraft deliveries. And over the next several weeks, Virgin will put its newest aircraft type into service – the Airbus A321neo. (The neo stands for New Engine Option.) The company said the new A321neos – it has ordered 10 of them – will have 185 seats. That will make it the largest in Virgin’s fleet; its current A320s have 146-149 seats, while its A319s have 119. The first A321neo will go into service May 31 between San Francisco and Washington Reagan National, and the second will start flying June 14 between SFO and New York JFK. Speaking of Alaska Airlines, it recently started service on a pair of new routes out of its Seattle hub. That includes one daily roundtrip from Seattle to San Luis Obispo and one between Seattle and Wichita. Both routes are operated by SkyWest with 76-seat, three-class E175s. Southwest Airlines is growing at Sacramento. Besides new twice-daily flights between Sacramento and Long Beach starting August 1, the airline will also start daily Sacramento-Spokane service on the same date. And on June 5, Southwest will add more frequencies in two other markets, boosting its Sacramento-Seattle schedule to as many as six flights a day, and increasing Sacramento-San Diego to as many as 11 a day. American Airlines’ new service (started in February) between its Phoenix hub and Sonoma County, California’s Charles Schulz Airport in Santa Rosa has been filling up fast, so the carrier plans to add a second daily flight in the market starting July 5. The Santa Rosa flights use American Eagle 70-seat, two-class CRJ-700s. 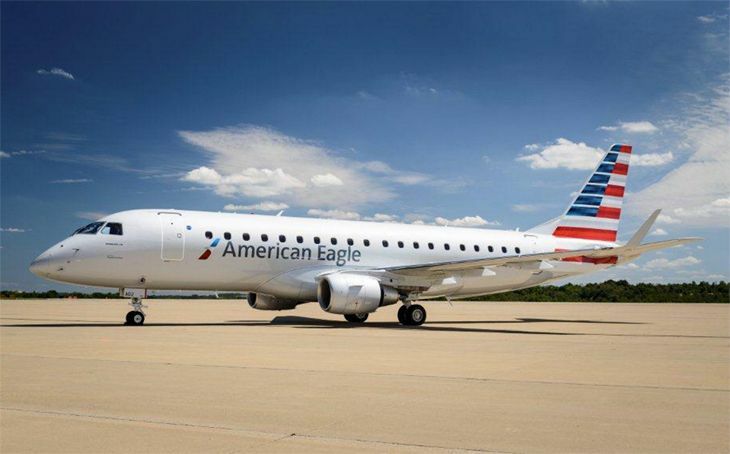 Elsewhere, American plans to add two new American Eagle routes out of its Charlotte hub on August 22, with two flights a day to Shreveport, La., and two a day to Toledo, Ohio. Both will use CRJ-200s operated by PSA Airlines. If you have cross-country flying in your future, now’s the time to book your winter flights. Today nearly all airlines are heavily discounting transcon flights between New York and California, California and Florida, California and Atlanta, Seattle and New York or Boston. What’s nice is that these these fares apply to nearly all flights from January through March– and all major carriers are participating. And what’s unusual is the time frame of this sale– these fares are good all the way into March, which means they’ll apply during the busy and expensive Spring Break period, too. Anytime we see fares below $300 for transcontinental flights, we know that we have a very good deal on our hands. 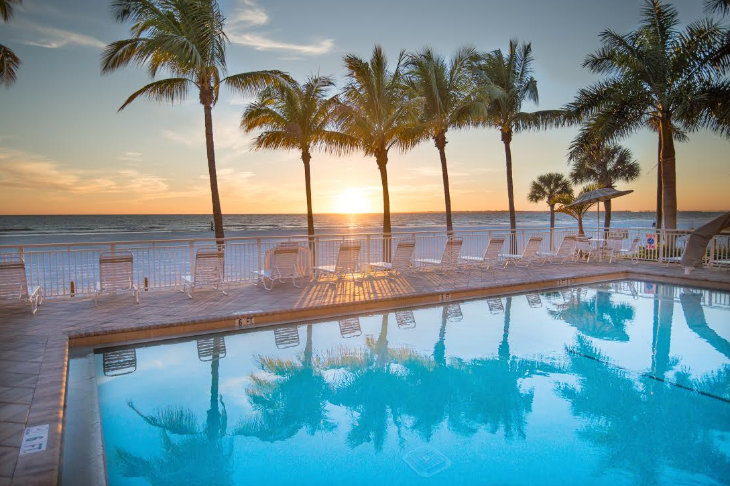 Now’s the time to book if you have business on either of the coasts, or would like to visit Florida for some mid-winter sun! TravelSkills researchers found all these fares on Google Flights & verified them on airline websites on Monday December 12- they are subject to change. In domestic route news, there’s lots of extra capacity coming to Florida, including new United routes from San Francisco and Spirit Airlines routes from Ohio, plus a new Florida destination for Frontier Airlines. 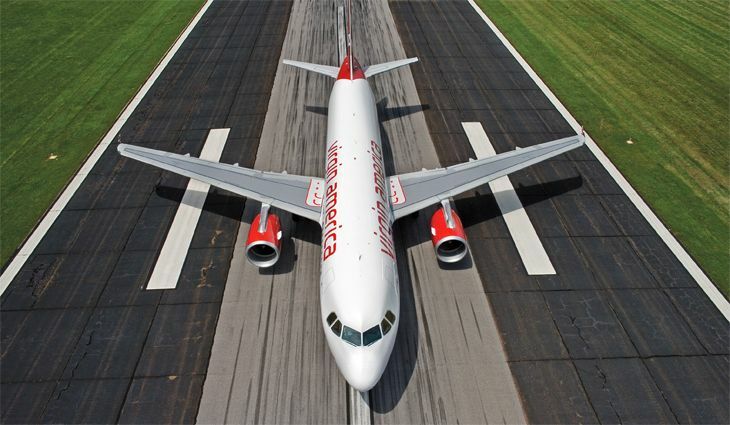 Meanwhile, Virgin America plans to increase capacity from the West Coast to Newark Liberty International Airport. United’s newest domestic routes from San Francisco will be to Florida, starting in late fall and winter. 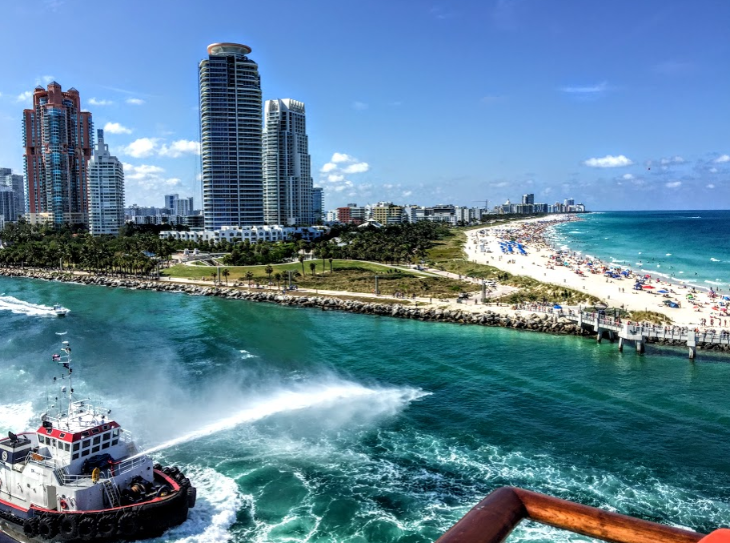 The airline said it plans to begin a daily San Francisco-Miami flight on December 16, reviving a route that it dropped 12 years ago. 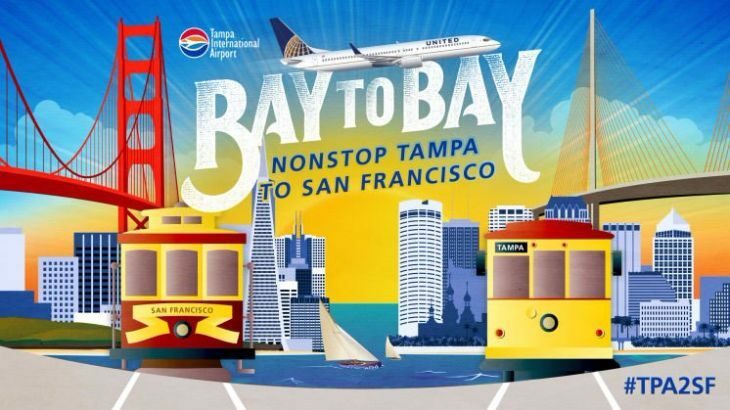 United will also introduce a daily SFO-Tampa flight beginning February 16. Both routes will use 737s. Just a few days after Alaska Airlines announced some new routes to Newark, Virgin America said it will also take advantage of the FAA’s plan to open up more slots at that airport this fall. Effective November 18, Virgin plans to increase Newark frequencies from three flights a day to four from both San Francisco and Los Angeles. 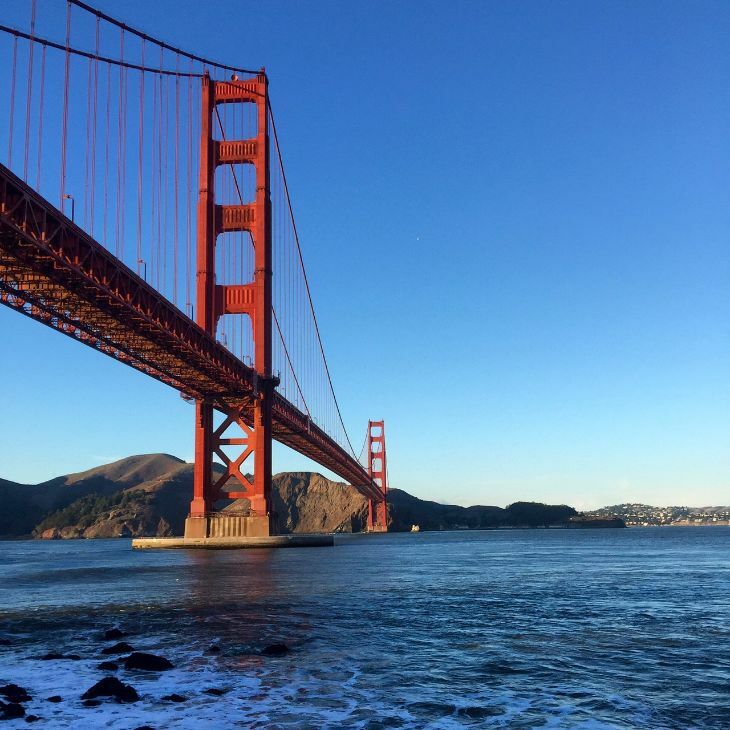 The extra SFO flight is scheduled for a 9:40 a.m. departure from San Francisco, while the fourth LAX departure will be at 7 a.m. 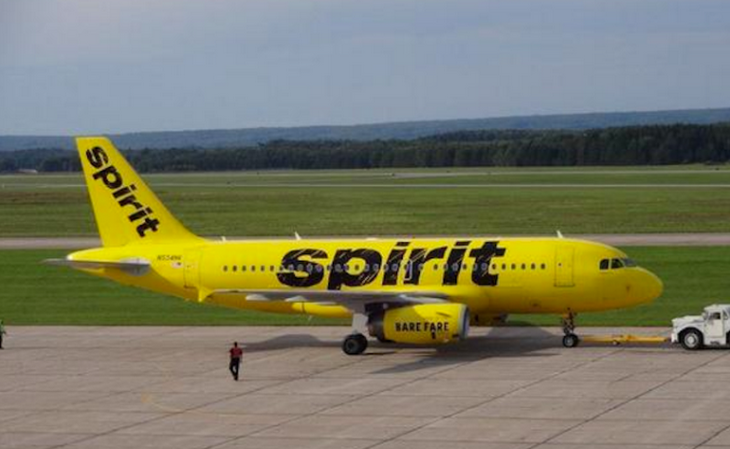 Spirit Airlines plans a big expansion of service at Akron/Canton, adding four Florida destinations beginning November 10. The schedule includes new daily flights from Akron to Ft. Lauderdale and to Orlando, along with seasonal service from Akron to Ft. Myers four days a week and to Tampa three days a week. On the same date, meanwhile, Spirit will also suspend service between Cleveland and Dallas/Ft. Worth, changing that route from year-round to seasonal; the DFW flights will begin again on April 26. Punta Gorda, Florida is about 25 miles north of Ft. Myers, and it has an airport that’s a lot less busy than the latter city’s Southwest Florida International; Punta Gorda is currently served only by Allegiant Airlines. So Punta Gorda is the newest airport that will go onto Frontier Airlines’ route map. On October 30, Frontier will add new service to Punta Gorda from Trenton, N.J., operating year-round four days a week. On the same date, Frontier will begin seasonal service three days a week between Punta Gorda-Philadelphia and Punta Gorda-Chicago O’Hare, continuing through April. In domestic route news, Alaska will add several routes into Newark; JetSuite plans a new California Corridor route; Southwest has its eye on Long Beach-Las Vegas service; United and American grow at Memphis; and Frontier and Spirit expand their Florida presence. Taking advantage of the FAA’s decision to open up more takeoff and landing slots at Newark Liberty International Airport this fall, Alaska Airlines said it plans to add new flights there from four West Coast cities. On November 10, Alaska will begin one daily roundtrip from Portland to Newark, followed on November 21 by a new daily flight from San Diego to Newark; neither of the eastbound flights will be red-eyes. Then in 2017, Alaska will add a daily flight from San Jose to Newark on March 12, along with a third daily Seattle-Newark roundtrip beginning May 14. Alaska also said it will begin twice-weekly seasonal service between Portland and Sun Valley, Idaho, operating from December 17 to April 1 and again from June 14 to September 16, 2017, using a Horizon Air Q400 turboprop. 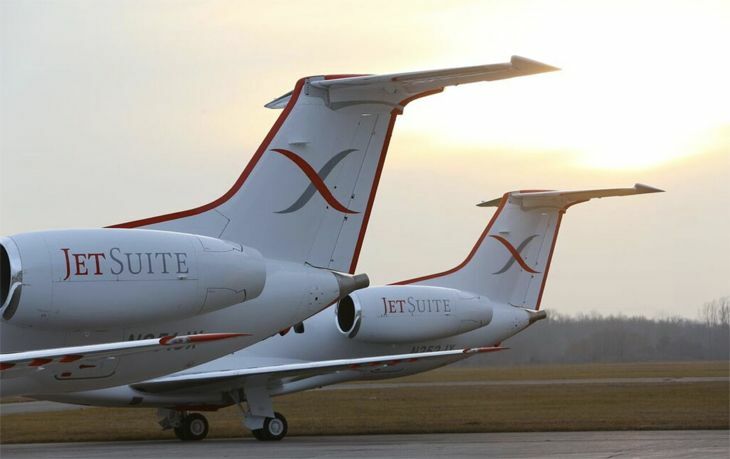 Earlier this year, a private jet operator called JetSuite launched a new service between Burbank and Concord, California (just east of San Francisco) called JetSuiteX, selling single seats on scheduled departures of 30-seat Embraer 135s. And now the company plans to add a new JetSuiteX route on August 15, linking Burbank and San Jose with 12 weekly roundtrips and introductory fares as low as $99. Last month, Southwest Airlines added Long Beach, California to its route map, launching four daily roundtrips to Oakland. And now Southwest plans to add daily Long Beach-Las Vegas flights beginning September 18, with introductory fares starting at $39. But the Long Beach-Las Vegas service is only scheduled to continue through the end of December. American and United are planning to increase capacity out of Memphis, according to the Memphis Business Journal. It said that on August 23, American will replace smaller regional jets and an MD-82 with 160-seat 737s for its two daily Memphis-Dallas/Ft. Worth flights; and on October 6, it will add a fourth daily weekday flight between Memphis and Washington Reagan National. 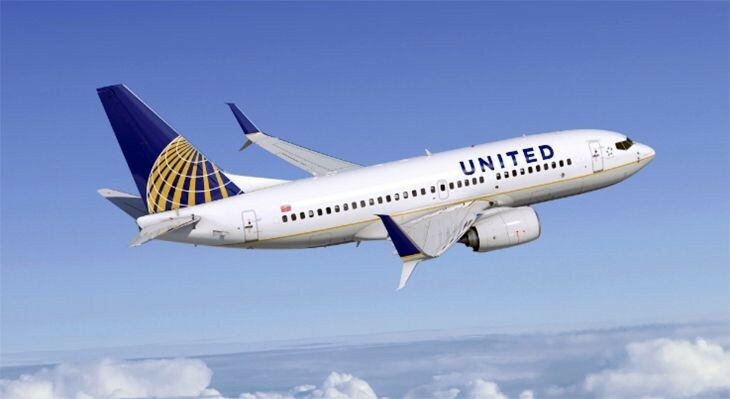 On October 31, the publication reported, United plans to replace a CRJ-700 with a 166-seat 737 for one of its two daily Memphis-Denver flights. This month, American eclipsed Delta as Memphis’ largest carrier. Spirit Airlines will boost its presence at Orlando this fall, adding daily service to five cities, including Boston and Philadelphia starting October 7; Kansas City beginning November 10; and Niagara Falls and Plattsburgh, N.Y. as of November 17. Also on November 10, Spirit will kick off new daily non-stops from Baltimore/Washington to both Tampa and Fort Myers, Fla.
On October 30, Frontier Airlines is planning to launch daily roundtrips from San Diego to Orlando, as well as three weekly flights linking Orlando with Des Moines, Iowa. Meanwhile, Frontier will also trim its schedule at Pittsburgh at the end of October, discontinuing service to Atlanta and to Chicago O’Hare. Last month, the U.S. Transportation Department awarded U.S. carriers new route rights to serve secondary cities in Cuba, but not the biggest plum – Havana. This week, DOT finally acted on all the requests it had from U.S. airlines to operate regular scheduled service to the Cuban capital, awarding Havana routes to eight airlines for flights that are likely to start sometime this fall. The preliminary route awards are still subject a public comment period before being finalized. Tickets are not yet on sale, but should be later this summer. Right now, round trip charter flights from Miami to Havana are running at about $450 round trip, a price that we expect to drop significantly when competition cranks up in the fall. 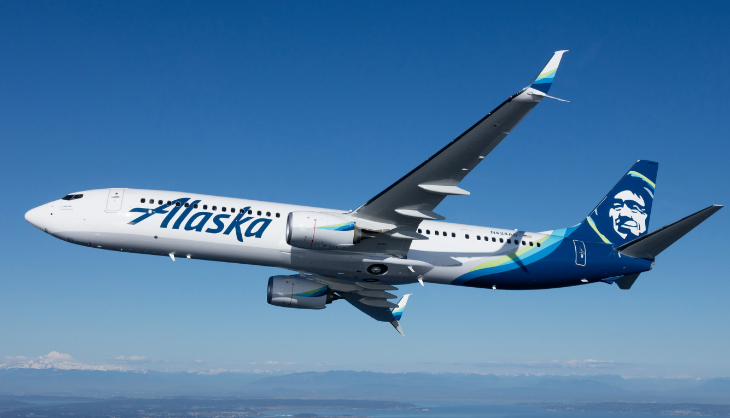 The only Havana route from the West Coast went to Alaska Airlines, which will operate daily non-stops from Los Angeles using a two-class, 181-passenger 737-900ER. The flight will originate in Seattle, offering same-plane service top Cuba. Alaska said it expects to begin the service by year’s end. From LAX or SFO, current fares to Havana via Mexico City (Aeromexico) or Panama City (Copa) are about $625 round trip. 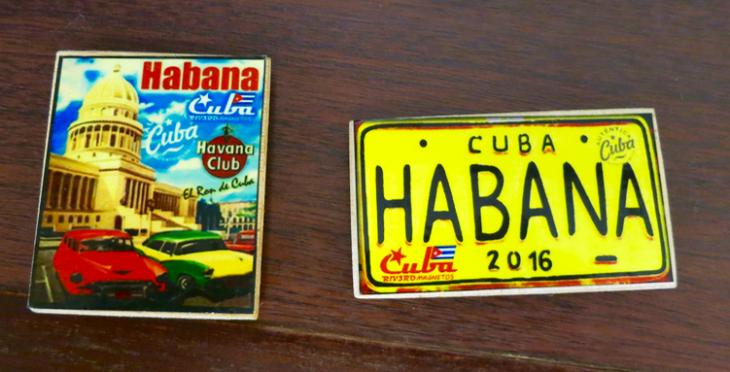 Recent: Curious about Cuba? Don’t miss this! Most of the new routes will be from the eastern U.S., especially Florida. The exception to that rule was DOT’s selection of United to operate Houston-Havana flights, but only once a week. United will also operate daily non-stops to Havana from its Newark hub. American Airlines will offer four daily roundtrips to Havana from Miami and one a day from Charlotte; Delta’s new route authority includes daily roundtrips to Havana from Atlanta, New York JFK and Miami; JetBlue won rights for two daily flights from Ft. Lauderdale and one each from New York JFK and Orlando; Southwest’s new route authority provides for two daily roundtrips from Ft. Lauderdale and one from Tampa; Spirit Airlines got two daily Ft. Lauderdale-Havana flights; and Frontier will be allowed a single daily flight from Miami to Havana. 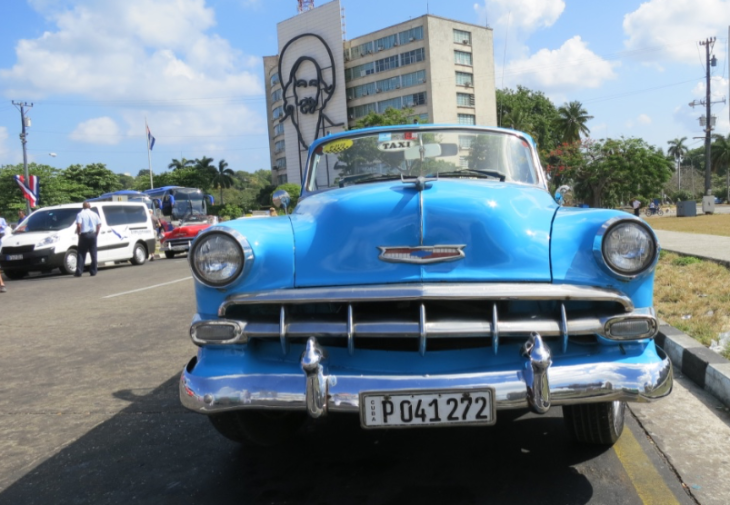 Don’t miss: Cruising into Cuba: It’s complicated! Technically, the U.S. still does not allow for simple tourist travel to Cuba; Americans who go there must fall into one of 12 categories approved by the government, including things like journalistic activity, professional research and meetings, educational activities and so on. Here’s a link to the Treasury Department’s rules for travel to Cuba. Have you been to Cuba yet? Will you go in the near future? Why or why not? Please leave your comments below! Even though we’ve experienced a relatively mild winter in the U.S., Americans are gearing up for a busy spring break travel season. Well, low gasoline prices are prompting more of us to consider jumping in the car and heading to the beach or the slopes. And despite some bumps on Wall Street, the economy is humming along nicely. So with all that hard work at the office or school we all deserve a nice break, right? There are some early indications that this spring break season could be a whopper. First, room nights booked for this year’s peak spring break travel season (March 18-31) are up 5.2 percent compared to the same time last year at Best Western’s 1,800 U.S. hotels. Airlines in the U.S. expect to have their busiest spring, ever: 140 million passengers, up from 136 million last year. Plus, the TSA is expecting a 7 percent increase in the number of fliers passing through airports this spring and warning travelers to brace for longer security line waits. Increased demand for air travel has provided airlines with the confidence to raise fares three times since the beginning of the year. However, keen competition from aggressive low-fare carriers is keeping a lid on big increases in the markets where they fly. To avoid the highest prices and the possibility of sold out flights, hotels or rental cars, those planning trips in late March should make reservations as soon as possible– especially if headed to popular spring break destinations such as Florida, the Gulf Coast, Rocky Mountain ski resorts and Mexican beach resort areas. If you have the flexibility to travel in early March, or later on in April, May or early June, you’ll find lower prices than during the late March peak. After mid-June, peak summer pricing kicks in as demand soars. What’s different about this year’s spring travel season? Well, late March is usually the busiest time of year for collegiate spring break dates. Early April, when Easter usually falls, is more popular with families. But this year we have a very early Easter weekend (March 25-28), which means families, AND college kids are going to be crowding airports, hotels and the beaches simultaneously. Due to this concentration, travelers should be on alert for surprise crowds at airports, especially if you live in or near (or are traveling to or from) a big college town OR if you are headed to a warm weather destination like Florida, Mexico or the Caribbean. This is also the case for airport hubs with connections to warm weather destinations such as Atlanta, Houston, Dallas, Los Angeles or Phoenix. Don’t miss out! Get a $25 Best Western gift card for every two separate stays at Best Western branded hotels between February 8 and May 8 2016! Register today! An early Easter means you’ll find a spring travel “sweet spot” during the first two weeks of April when spring breakers have gone home, or gone back to school. That’s when you’ll most likely find the best last minute deals and smallest crowds. Don’t forget that St Patrick’s Day falls at the beginning of peak season this year on Thursday, March 17. Travelers should expect extreme vigilance on the part of police and highway patrol when it comes to drinking and driving on that Thursday. TIP: If you are a business traveler staying over in a resort or beachside area in March, ask for a quiet room away from the pool or other public areas, which may attract a rowdy spring break crowd. Nearly everywhere in Florida, especially Orlando and coastal cities. Mexico, especially coastal resort areas such as Cancun and the “Riviera Maya” along the east coast and Puerto Vallarta, Cabo, and Baja on the west. Disclosure: Thank you for reading TravelSkills! We will periodically send out messages like this one from commercial partners about topics relevant to frequent travel. 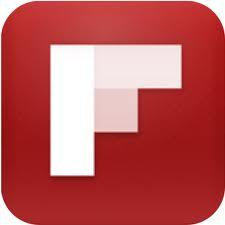 Our sponsors’ support, and yours, help us keep TravelSkills a free publication. Combine a long, cold winter, spiking gasoline prices, and an improving economy. Then fold in a very early Easter and you have the recipe for what could be a very crowded and expensive spring travel season. To avoid the highest prices and the possibility of sold out flights, hotels or rental cars, those planning March trips should make reservations as soon as possible– especially if headed to popular spring break destinations such as Florida (especially Gulf coast cities such as Panama City, Destin, Ft Walton Beach), Mexico, nearby Caribbean resorts in Bahamas or Dominican Republic, and Rocky Mountain ski resorts. This year, the peak spring travel season will be compact–only about three weeks– beginning on Friday, March 8 and lasting until Monday April 1. Already, advance bookings for March at Best Western’s 2000+ hotels in the US are up 8.9% compared to this time last year. Due to an unusually early Easter (Sunday, March 31), March is going to be a month when college students, families and business travelers converge on the nation’s airports, highways and hotels. Collegiate spring break will peak in mid-to-late-March during mid-semester break. Family spring break will peak during the last week of March when most elementary and high schools close prior to Easter weekend. Spring Break week for Emory and UGA March 9-17; Georgia State and Georgia Tech: March 16-23. Like what you are reading? Then please click on the Facebook LIKE buttons above! Tweet The TICKET. Post it on your LinkedIn page. 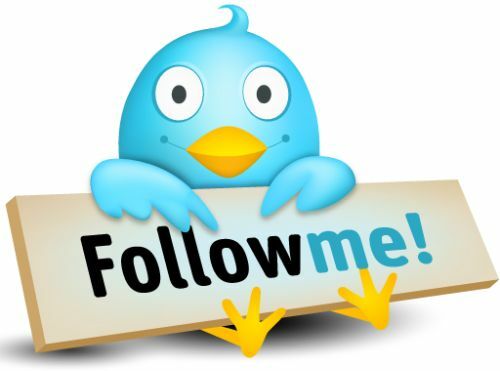 Get social with The TICKET because it helps us help YOU! To avoid the biggest crowds at airports, try to avoid traveling on weekends during the peak collegiate spring break period–from roughly March 8 through April 1. If you are flying on Fridays, Saturdays or Sundays during March, you’ll find airports (like ATL!) in or near college campuses and warm weather destinations packed with vacationing students, creating longer lines at airport security. Also, beware of crowding and possible delays on highways and skyways on the days leading up to and shortly after Easter Sunday, March 31. In addition, St Patrick’s Day falls smack in the middle of spring break on Sunday, March 17 this year. Travelers should expect extreme vigilance on the part of police and highway patrol when it comes to drinking and driving. TIP: If you are a business traveler staying over in a resort or beachside area, ask for a quiet room away from the pool or other public areas, which may attract a rowdy spring break crowd. Since January 1, airlines have attempted three across-the-board fare hikes. The first two failed. The jury is still out on whether or not the third one will stick. But don’t think that this means prices will not rise. Over the last several years, airlines have reduced the number of seats flying. At the same time, improvements in the economic outlook and consumer confidence are translating into more demand for air travel— and when you have high demand and limited supply, prices rise. Therefore, spring travelers should budget for higher airfares (up 5-10% compared to last year), and more fees. TIP: To get the lowest fares, try to plan trips during non-peak times, such as April or May known as the “shoulder season.” Also, travelers who can travel mid-week–on Tuesdays, Wednesdays or Thursdays are also more likely to find lower fares. While demand for hotels is increasing, average rates have only crept up about 5% compared to this time last year. This should be a relief for travelers who are finding that they are spending more than they’d like to at the gas pump or when buying airline tickets. Over the last two years, hotel rates have jumped the most in large coastal cities in the US such as Boston, New York, Washington DC, San Francisco and Seattle. Rates in smaller, interior US cities remain about the same as this time last year. Waiting around for last minute deals or flash sales rarely results in significant discounts during peak travel periods such as spring break. Those who have their heart set on a specific destination in March should make reservations early in order to get the best deals. Waiting around for last minute deals is only advisable if you really don’t care where you go…you just want to get away. On the other hand, waiting for a last minute deal makes much more sense if you plan to travel during periods of lighter demand, such as April or May, when travel providers are more likely to unload their excess inventory at big discount. This item appeared first on Best Western’s youmustbetrippin.com blog for which I write.